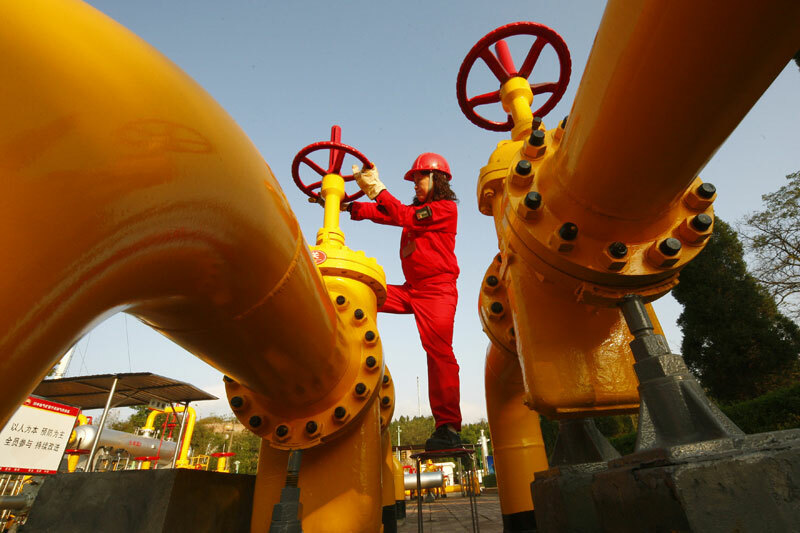 Global demand for natural gas is set to increase by an average 1.6% in the next 5 years – largely driven by emerging Asian markets. These developing energy networks will require a strong infrastructure for transporting large volumes of gas from the point of extraction to its final destination. A critical component of this infrastructure is the gas compressor station, which allows gas to flow efficiently and safely. Why does natural gas need to be compressed? As natural gas travels through transportation pipes, its pressure is affected by factors such as elevation changes, distance and friction that cause it to slow and expand. Compressor stations are spaced at regular intervals along the network to re-pressurise gas, reducing its volume and re-establishing the correct flow speed to propel it through the pipeline. The number of compressor stations needed along a pipeline varies depending on the local environment and conditions, but on average one is needed every 40 to 70 miles to maintain flow. Compression is achieved through either centrifugal or reciprocating compressors powered by turbines, electric motors or reciprocating engines. Compressor stations also play a part in maintaining pipeline integrity and gas quality. By scrubbing, straining and filtering incoming gas the station removes impurities – such as hydrocarbon particles or water – that has evaporated out of the gas, protecting the pipeline network from damage. These by-products may be safely disposed of or sold as appropriate. As gas is compressed, it rises in temperature by around 7-8 degrees for every 100psi increase in pressure. To protect pipelines from the damaging effects of heat the compressor station incorporates a cooler system that disperses excess heat. The amount of compression required at each compressor station depends on a variety of factors, such as supply and demand, environmental conditions and pipeline topography in the area. Accurate flow measurement that does not impede gas flow is critical to the effective control of compressor station operations. Natural gas compressor stations may also burn off excess gas as a control device to dispose of vapours recovered during the removal of water and other impurities from incoming gas. It is important that these flares are accurately monitored to ensure compliance with emissions regulations. Regulators typically require accuracy to within 5% when companies report flaring levels. Fluenta’s FGM 160 Flare Gas Meter uses the latest ultrasonic sensing technology that is capable of measuring flare gas to an accuracy of up to +/-1%. Find out more about Fluenta’s FGM 160 Flare Gas Meter here.